In November 2016, the GCC states came together to agree upon a common excise tax regulation across the GCC member countries. Under this agreement, each member state of the Gulf Cooperation Council will implement excise tax, as an indirect tax, on the import and manufacturing of excise goods that are to be consumed within that state. The excise goods are those products that are subject to excise duty and include the items that are harmful to human health or the environment. The ministerial committee of the GCC has the right to review the commodities that are to be termed as excise goods. In accordance with this agreement, the government of UAE under the regulation of FTA implemented federal excise tax across all its emirates in October 2017. The tax laws in UAE are formed under the guidelines of the common excise tax regulations of GCC. Excise tax under the regulation of the Federal Tax Authority is implemented in UAE now. The reason to implement excise tax is to not to rely further on the oil-based economy to provide the facilities to the public. Also, the federal excise tax policy is formed to discourage and reduce the consumption of harmful products to establish a healthy and human-friendly environment. 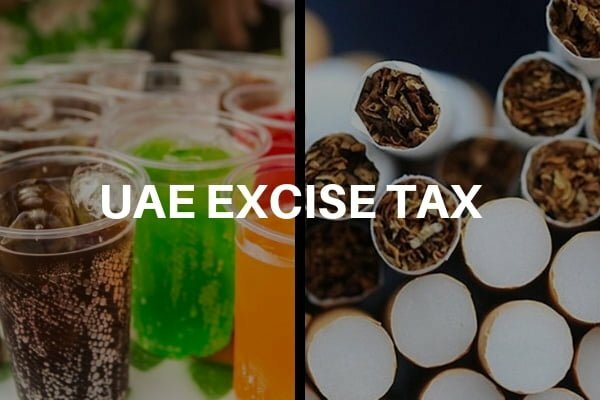 As per the regulations of FTA any person or business that either manufactures or imports excise goods to be consumed in the markets of UAE, will have to pay excise tax. It is an indirect tax and is paid only once in the supply chain circle. Following are the categories of all the goods that are subject to excise tax and the pay rates. It is to be noted that the excise tax is calculated on the sale or retail price of the products. Carbonated drinks: 50% excise tax on all the products and byproducts that are aerated drink or used to form one. This does not include aerated plain water. Energy drinks: 100% excise tax on all products and constituents that can form a product to energize the human body. Tobacco: Tobacco or products containing tobacco are taxed 100% on their retail prices. The excise tax is mandatory to be paid on the excise good before they enter the markets of UAE for consumption. 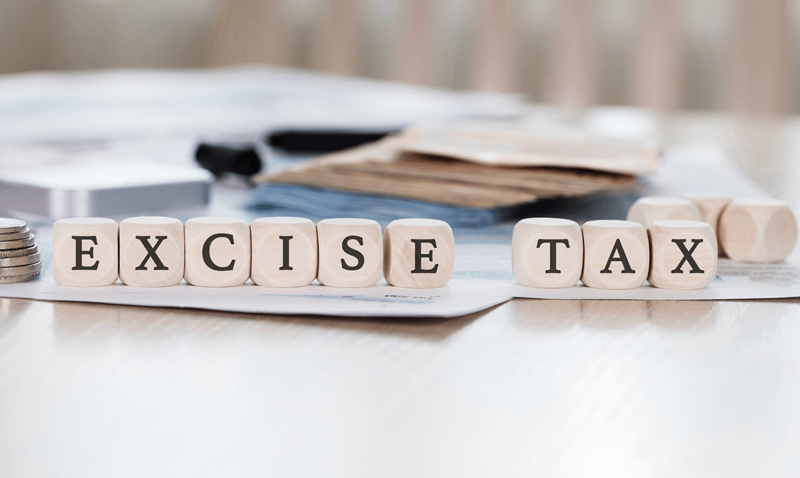 Excise tax payment becomes due when excise goods are imported in UAE or leave a manufacturing plant to be distributed in the market unless intended to place in designated zones or excise warehouses. The excise tax is filed each month and any payable taxes become due as soon as they are filed. It is important to know that excise tax has to be paid regardless of products beings sold to the consumer. Once the excise goods are made available in the market for sale, its due to be paid. To file excise tax requires excise tax registration done first. For registering excise tax in UAE, log in to the E-Services portal on the FTA website. That is where registration is done providing all the business and individual details and on the same online portal excise tax filing is done. To file the excise tax all the supportive documents and details must be attached. 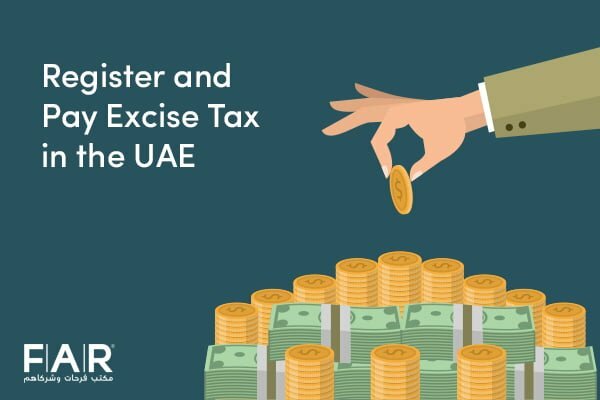 It is advised to keep the record of all excise tax filing in UAE for at least 5 years after they are filed to avoid any disputes and to make them available when requested by the FTA. To pay excise tax online it must be properly calculated because a wrong calculation and submission can make table entity liable to penalties and fines. For each excise good the percentage rate of excise tax duty is well defined. The defined rate is applicable to the retail price of each product item. To find the approved retail prices of each taxable item a list of all identified taxable items is made available on FTA site. A registered taxable entity can log in to their FTA account to acquire this list. For any items that are not in the list, the FTA online portal provides a feature to add new items subjected to the approval of FTA. The FTA with the help of businesses in the markets of UAE has formed this list to define the market retail price of excise goods. These prices are considered to be the most acceptable retail prices by all the stakeholders i.e. Government, sellers, and the buyers. This list can be used as a reference to calculate the excise tax duty applicable to the excise goods imported or produced to distribute in the local market for consumption. Cases where a registered taxpayer can get refunds. When a produced excise goods had already paid an excise tax on any of its raw materials or ingredients. When an additional amount is paid to FTA by mistake. The refunds will be adjusted to the next due excise tax payment. The case where the unregistered taxpayer can also get refunds. When a certain agreement between the UAE and another country, organization, business chamber or ministry of other country exists to supersede the excise tax agreement in UAE or an agreed fixed tax is already paid by such entities. Where a taxpayer is registered in another GCC country and also has paid excise tax when exporting excise goods to that county. Online excise tax refund request can be submitted through available e-form on FTA’s web portal. If you or your business needs tax consultation or require services of one of the best and registered tax services firm, then reach out to us. Our certified tax agent in Dubai, UAE and experienced tax compliance team can take away from you all the burden of managing tax requirements and their filing as your tax agents. This way you can keep concentrating on your business along with adhering to the tax regulations in UAE.